Latest on the interior. 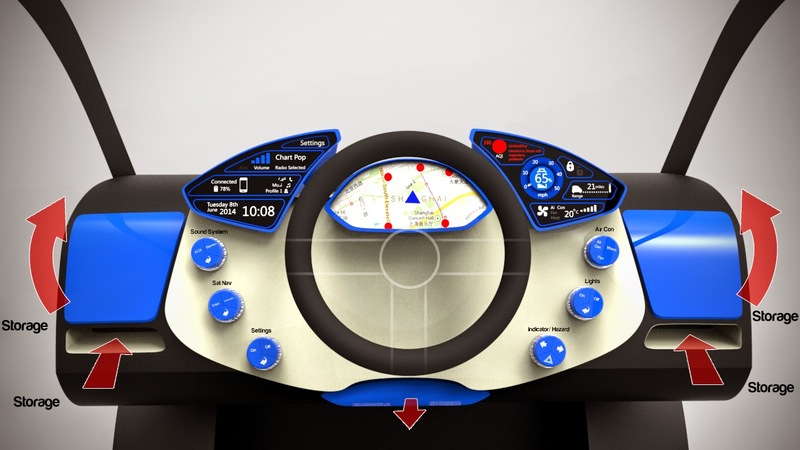 Buttons have been added along with 5 storage compartments; two medium sized glove boxes either side of the dashboard, below that are two storage holes for items like phones or money. Then finally a pull out tray under the steering wheel with potential for holding a drinking cup.